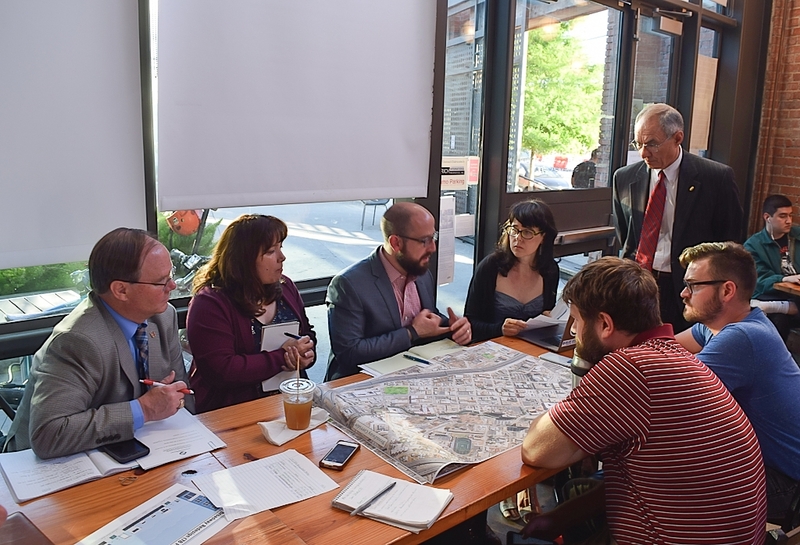 Razi Housinni – Interim Director/City Engineer; Peter Zanoni – Deputy City Manager; Arthur Reinhardt – Interim Deputy Director; Richard Grochowski – Broadway project manager; David McBeth – City Engineer, St. Marys and Fredericksburg projects; Bianca Thorpe – Programs Manager. They agreed to look at restricting cars parked in the bike lanes we provide them with. We sent them this: According to a Bike SA poll, cyclists have identified the following streets to remove car parking, because really, you can’t count these as bike lanes, they are actually car parking lanes. Mission Rd, Cincinnati Ave, Ashby, St Marys, Austin St, Woodlawn, S Presa, Grayson, Dover Ridge, N Vandiver, Les Harrison. On E Houston, they said they can commit to looking at a protected bike lane from 3rd to where the contra flow lane starts. Also the potential bike boulevard on a side street from there. Our responses to the meeting: We think that Ave B south of the freeway can work if we make it a one-way with a protected bike lane as you said. But since it isn’t part of the bond project, we’re afraid it won’t get funded, or if it does it will take like 20 years before it’s finished. We would also want the stop signs turned outwards for cross traffic, and very prominent wayfinding signs and markings on the road on Broadway indicating where the bike route goes. All of the bike projects you are seeking federal funding for are in the most wealthy neighborhoods, yet the highest concentration of cyclists and cyclist crashes are in the downtown area where there is little safe bike infrastructure. Why were those projects prioritized? David said he would send the latest streetscape plans of St. Mary’s and Fredericksberg. Bianca said she would update us on when we can expect to see the bike crash map after she meets with UTSA. 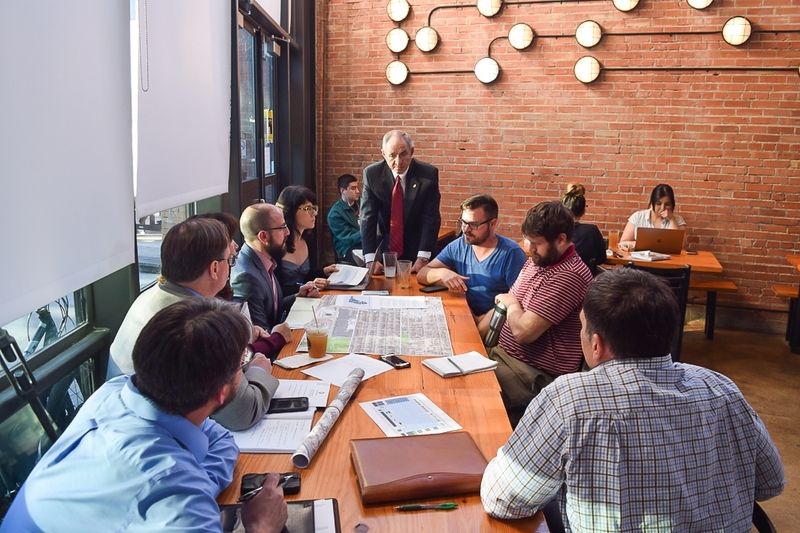 The group discussed the new bikeway built in memory of cyclist Tito Bradshaw and how to connect it to the Salado Creek Greenway. Feasibility of adding bike lanes to East Houston Street. Possibility of Houston Street becoming a magnet for dock less scooters if it is made pedestrian-friendly and the need for another corridor to accommodate the density of scooters. TCI was amenable to doing a study and analysis. TCI reviewed the law passed by the SA City Council in 2014 that prohibited parking in bike lanes. As a result, any new bike lane installed would restrict parking. However, the law does not apply to lanes that are already in place. TCI expressed concern about adding bike lanes where there are residential areas and driveways. Russell suggested adding signage on all lanes telling people whether they can park—not only in areas where parking is prohibited. TCI stressed it needs Bike San Antonio’s help in identifying the streets where signage is lacking. TCI said it submitted $60 million worth of projects to the City Council about three weeks ago for authorization to submit the Bexar County Metropolitan Planning Organization’s (MPO) update for funding as part of the Congestion Mitigation Project (CMAC). Of the $60 million, about $21 million is for the Bike SA Master Plan or bike facility projects. TCI will learn whether these projects are funded by July or August 2019. 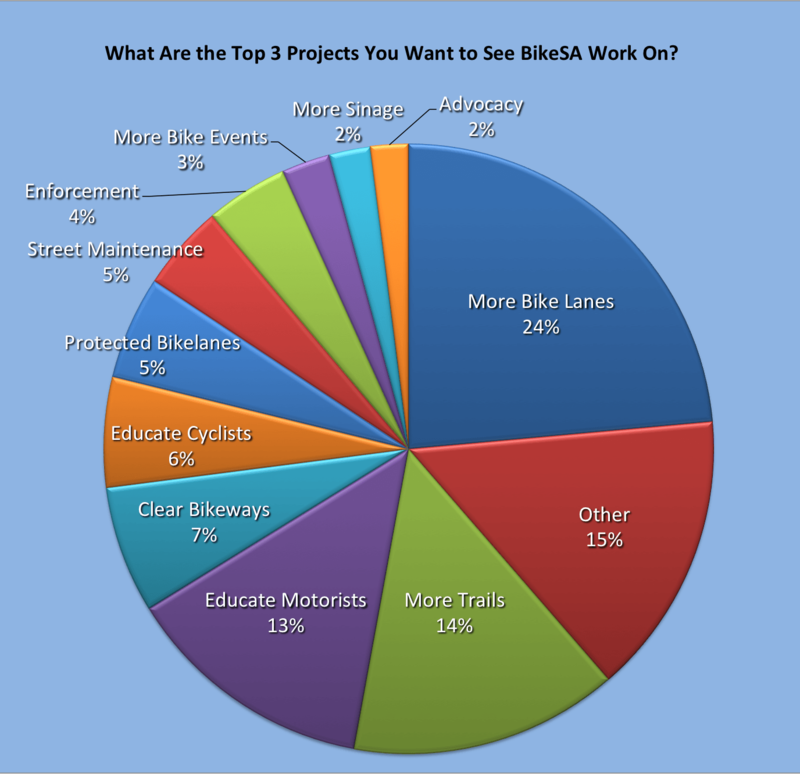 TCI provided that $1.5 million was allocated for the Bike SA Master Plan and implementation. TCI informed that St. Mary’s is another bond project for which about 70% of the design is complete. Three or four public meetings have been held so far. A bid will be placed this spring with a public meeting following in May or June. The new project would include curbs with dedicated bike lanes and a driving lane running in each direction with parking on one side of the street. TCI stated that due to high demand for nightlife, vehicles, and pedestrians on St. Mary’s, it is moving forward to try and widen the sidewalks, remove obstructions, and add dedicated bike lanes to the winding street. TCI identified an adjacent residential area as well as parking as challenges to the project. TCI said the eventual goal for St. Mary’s is to have buffered bike lanes. TCI agreed to send a schematic plan of the St. Mary’s project to Bike San Antonio. A cycle track on Hamilton Wolfe Road, an east-west running corridor located on the city’s NW side in the Medical Center. A bike facility project added on Abe Lincoln Road. A bike facility project at the Five Points neighborhood intersection at Fredericksburg Road, where a VIA bus station is located. TCI would like to connect this area to Cincinnati Avenue. Janel requested an update to the citywide bike routes and crash maps that UTSA was working on for Vision Zero. In just 2 days, 1,000 people have signed the petition for The Tito Bradshaw Memorial Bikeway on E Houston, and 8,000 emails have gone out to 8 city officials. We are demanding action! As a result of these emails, I received a message from the Director of Transportation & Capital Improvements (TCI) expressing his condolences and agreeing to meet. 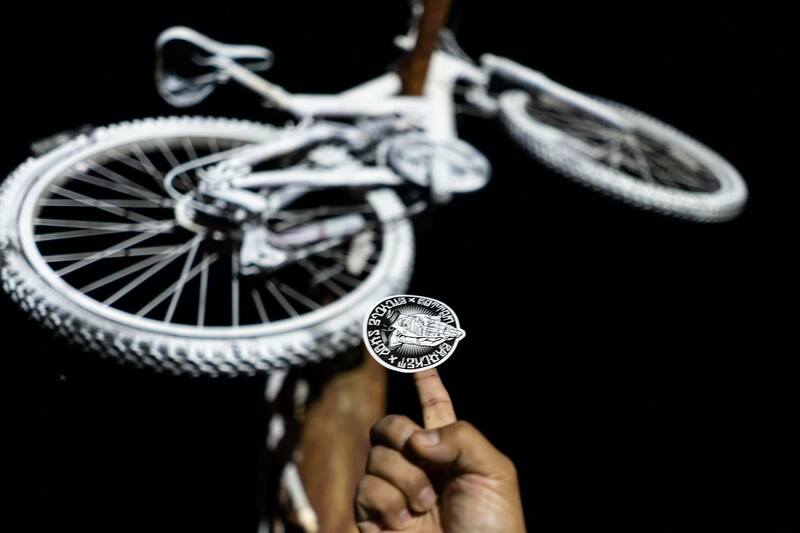 He also shared the news that two weeks ago, City Council approved $21 million for dedicated bike facilities, and to update the City’s Bike Master Plan. He encouraged us to provide feedback on what we want prioritized in the FY2020 budget. 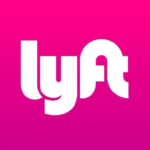 Please take the survey at www.SASpeakUp.com. View all surveys here. This was my response. We appreciate your efforts to update the bike master plan, but once it is updated we need to implement it. San Antonio is good at creating plans to increase street safety, but not as good at implementing them. We are a highly creative and technologically advanced society, we can easily make it so we don’t have to fear for our lives just to get from a to b.
I have to disagree with you that we are making progress with Vision Zero. As you can see in these graphs, since 2010 we have hardly increased the number of complete streets, traffic fatalities and serious injuries are increasing, alternative transit use is decreasing, and commute times and VMT are increasing. Bryan and I walked down Broadway the other day to show how dangerous the streets are. As you can see in this video, there are construction steel plates in the bikeway that are uneven and unsecured. 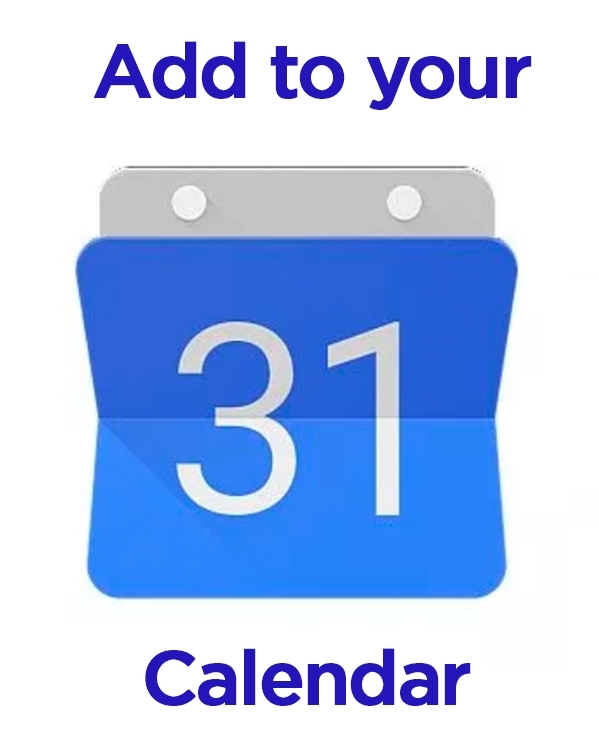 We called them in to 311 6 days ago and they are still there. They are placed incorrectly, and they shouldn’t move when driven over. Many cities add a textured coating on the plates, and place them so they are all flat. Cyclists and even motorist can easily slip on these with any bit of rain. Cyclists told me that they biked over them in the dark and didn’t even realize they were slick metal plates until they were off of them. I’ve heard city officials here say that protected bike lanes are great, but “we aren’t built for that in San Antonio.” The Netherlands wasn’t built for bikes either, but in the 70’s they made a conscientious decision to accommodate cyclists. Now in some cities as many as 50% of all trips are by bike. I consistently hear from planners and officials here that if we take away car lanes it may increase traffic. Look at NYC who have been installing protected bike lanes on their streets that are already at a standstill with traffic. They make it a priority because they understand the importance. I encourage you to watch this video as well. In terms of the money allocated to bike infrastructure and planning, the amount devoted to bikes is minuscule compared to the entire transportation budget. We could build 1,280 miles of protected bike lanes for the cost it takes to build 1 mile of freeway! San Antonio now has just 355 miles of on-street bike lanes. The bike plan goal is to add 1,740 miles of bike lanes in the next 20 years, which is 87 miles each year, we are not on track to meet this goal. We look forward to working with y’all to remedy these deficiencies in the transportation network. 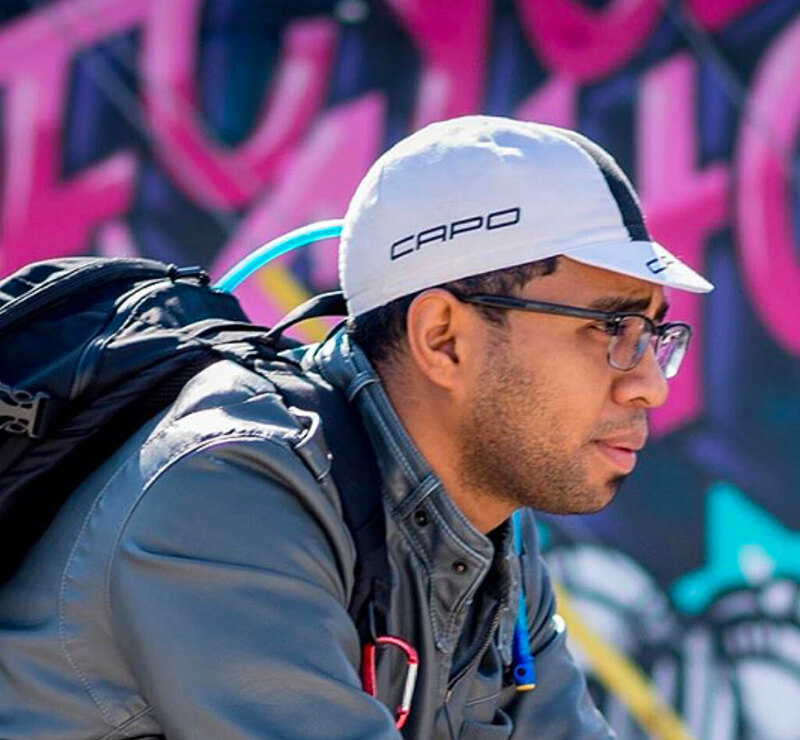 Yesterday we walked down Broadway with MIG Urban Designer Mukul. We learned that there are many areas of Broadway that allow for extra room, not necessarily notated on the street design schematics. For instance, there are buildings that are set back further than their property lines, which give more room for sidewalk and bike lane space. Under I-35 there is a center turn lane that turns into nothing, which can be removed and added to the sides to create a protected bike lane. Analyzing the street in person is an invaluable necessity we plan to continue while working towards a Broadway complete street. Mukul informed us about the Indianapolis Cultural Trail that is an 8-mile bike and walk path through the city. It has points of interest along the way connecting some of Indy’s most popular cultural institutions. Something like this in SA could draw tourists out of the downtown areas to activate and enliven other areas of the city that are economically depressed. It could also provide safe and convenient ways for locals to travel while getting exercise. Texas’ Safe Passing Bill is dangerously close to being over for this legislative session. You can make sure this bill stays alive. My name is _______, my occupation is _______, and I live in District _____. HB 962 is important to me and my family because [them why Safe Passing matters to you, such as: one too many close calls; you want law enforcement to have this tool to prosecute drivers who are at fault in a collision; your children walk and/or ride bikes in your neighborhood and you want them to be safer; or whatever your reason for supporting this law is]. I ask Representative ________ to vote YES on HB 962. This is the first step in a long process to make Safe Passing a statewide law in Texas, but if the bill doesn’t pass the committee then it doesn’t go anywhere. Please contact your representative today and ask him or her to vote YES on HB 962. Because of the urgent nature of this Action Alert, you may also hear from one of our allied organizations today about this bill. If you would like to stay up-to-date on bicycle-related action in the Texas Legislature, please sign up for BikeTexas’ email newsletters and action alerts at www.biketexas.org/newsletter. Make sure to include your zip code to receive information specific to your legislative district. There are so many different types of bike groups in SA from social rides, advocacy groups, bike shops, city groups, etc. Let’s all meet to talk about our projects and how we may help one another out to improve our city for cyclists! If you’re not part of a bike group but are interested in learning how to get more involved, join us! Please share with other people or bike groups you know about. After we can bike on the Mission Trail. 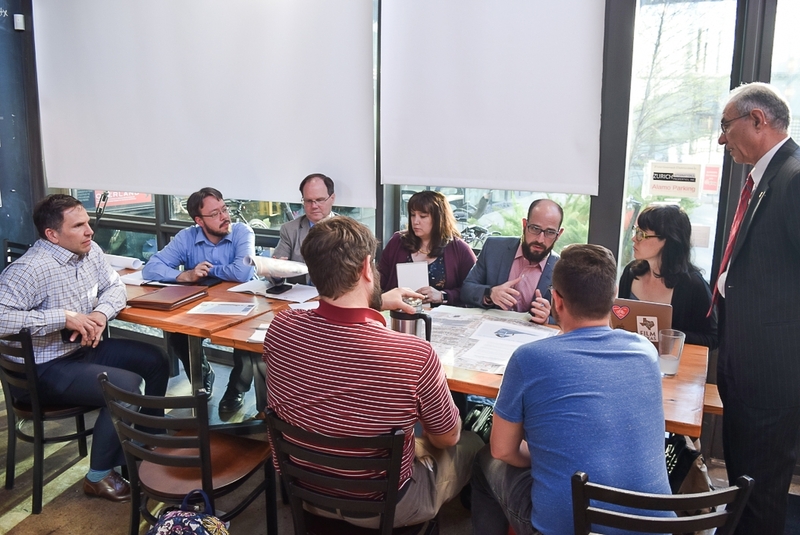 We have been meeting with stakeholders along Broadway to talk with them about the importance of a protected bike lane on Broadway. Below is a Powerpoint we have been presenting. References for the facts stated. 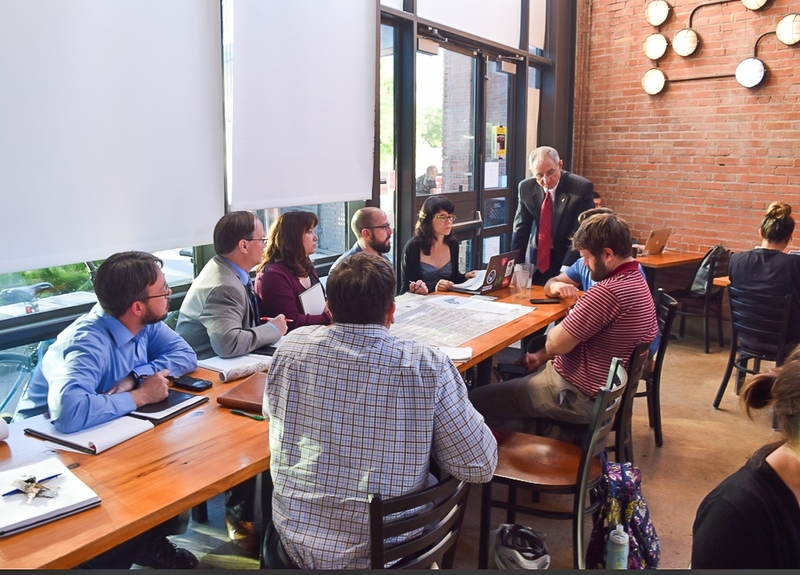 On January 9, 2019 BikeSA Director Janel Sterbentz presented to the AAMPO Bicycle Mobility Advisory Committee. I would like to see more enforcement of cars parked illegally in bike lanes, as well as ‘no parking signs’ along ALL bike lanes. 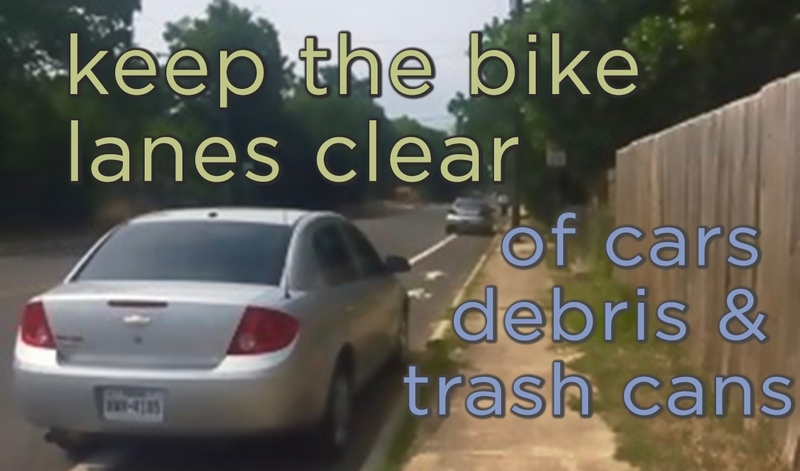 Bike lanes and shoulders with debris/parked cars are dangerous and costly to cyclists. They increase the chances of falling, or getting a flat/blow-out. 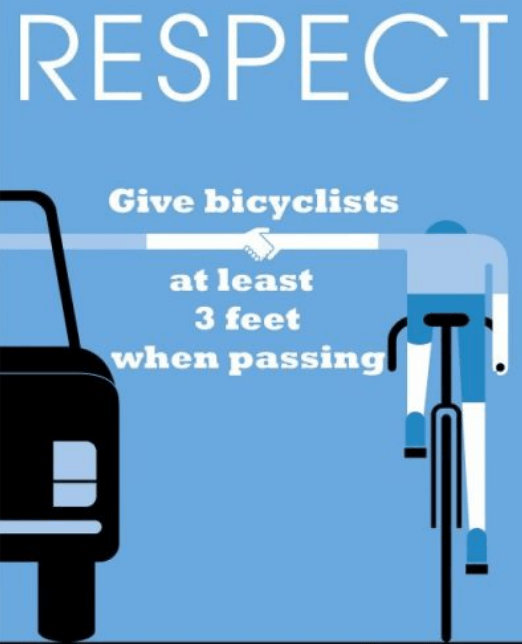 Most cyclists know how costly, time-consuming and inconvenient this is. To avoid getting a flat, or to get around larger obstacles, cyclists are often forced into car traffic, which endangers lives. Despite complaints to the city, there hasn’t been consistent enforcement of these lanes/shoulders. Please act to get these bikeways enforced consistently. 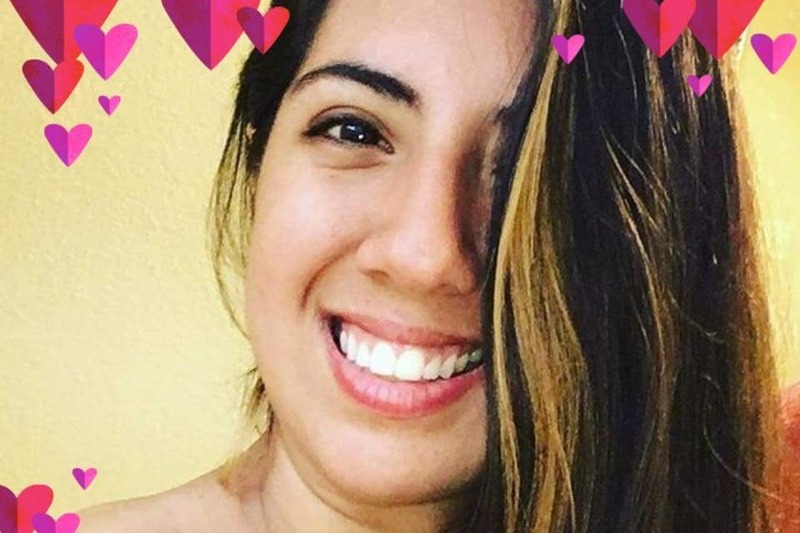 Samantha Flores was riding her bike home from work around midnight last Friday, September 7th, when she was hit by a vehicle that left the scene. She’s now in the hospital suffering from severe injuries. She had holes in her liver and one of her lungs, a dislocated elbow, lacerations on her spleen and stomach, a broken femur with a buildup of tissue in the knee, which was also dislocated. She also has a broken fibula in her left foot. She was knocked unconscious but regained consciousness in the hospital. She’s 23 and works 2 jobs, one of which is at Kimura, a ramen restaurant downtown. The manager, Victor Cortez recalls, “Sam had a lot of regulars who came specifically to see her, so a lot of her customers are distraught because she’s not around. She’s a really generous and thoughtful person. She’s also vegan, so she’s very interested in preservation of nature and animals.” Kimura is donating $2 to Sam from every vegan ramen sold. On Friday night she was working late at Cherrity Bar where she’s a manager. Cherrity Bar is a nonprofit that donates a portion of their proceeds to other nonprofits. She spent months cultivating it from the ground up, and it opened last weekend without her there. The crash happened just north of 410 on Nacadoches. At midnight she couldn’t take the bus, and being that most streets in that area are cul-de-sacs, Nacadoches is basically the only route she could take on her bike. 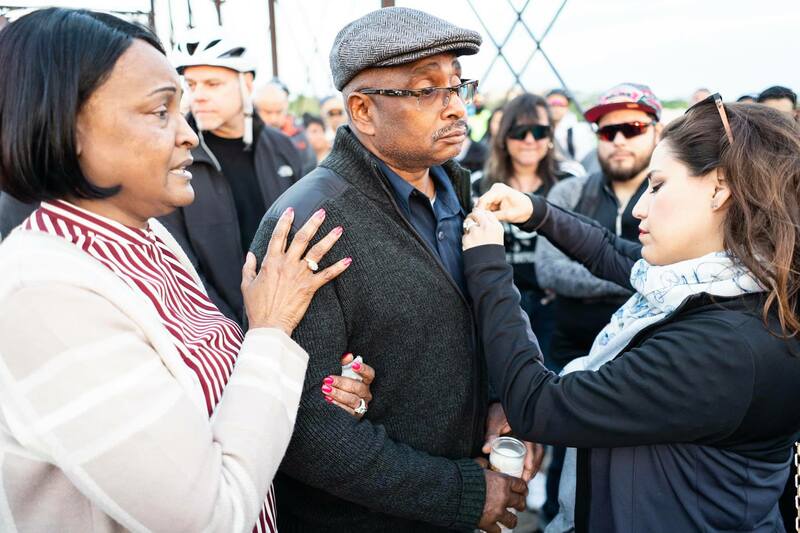 We owe it to those who chose to bike or who have no other options, to make our streets safer. San Antonio is not projected to reach its Vision Zero goal of zero pedestrian/cyclist fatalities and injuries by 2020. As of 2016, there were 2,912 pedestrian/cyclist injuries and fatalities. These are actually increasing. 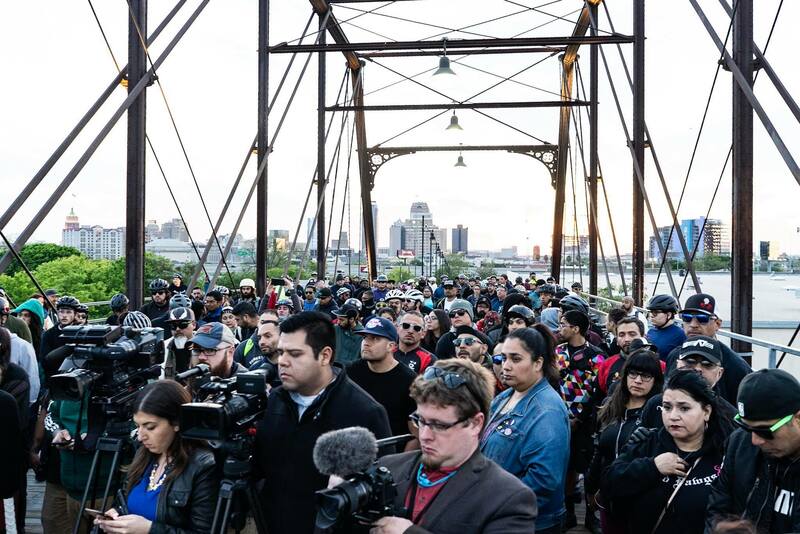 People for Bikes named San Antonio one of the most dangerous large cities for biking. The SA2020 goal for Complete Streets is 6,465 miles by 2020. Yet, as of 2016, there were only 2,370 miles of Complete Streets. In San Antonio, 80 percent of severe or fatal crashes occur on main arterial roads with speeds posted at more than 35 mph. Protected bikeways can cut traffic crashes up to 90 percent! Her medical bills are piling up. To donate visit her gofundme page. 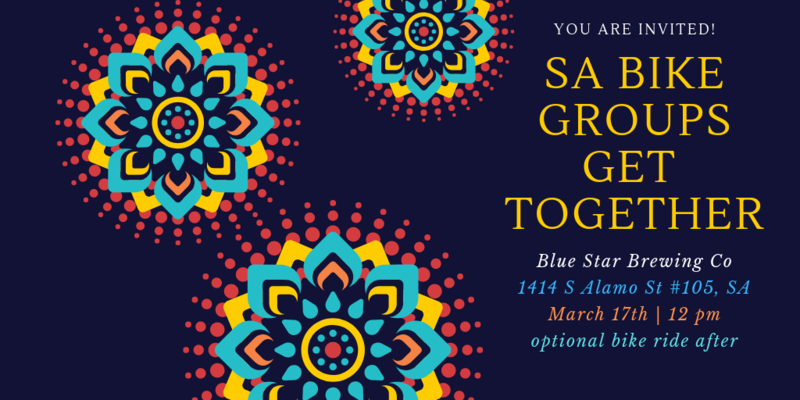 There will be an SATX SR bike ride for Sam on Wednesday 9/19. 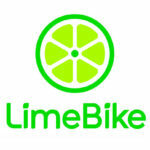 A total of 247 people took the Bike Survey. 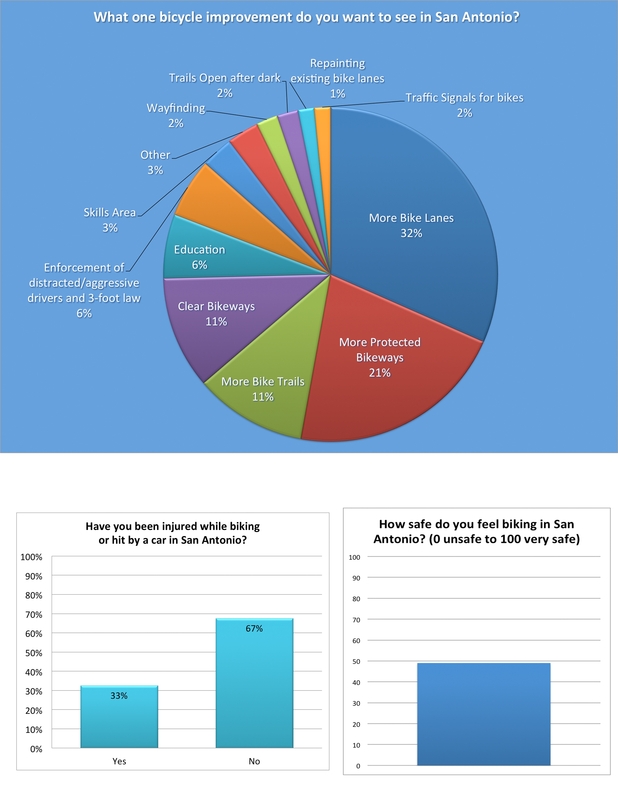 Respondents ranked San Antonio 49 out of 100, 100 is feeling very safe biking in the city. Over a third have been in a crash while cycling. 77% of those crashes were auto related, 16% were due to poor infrastructure and 8% other. So about 1 in 4 respondents have been in auto related crashes while cycling in San Antonio. A majority (64%) want more bike paths and lanes. 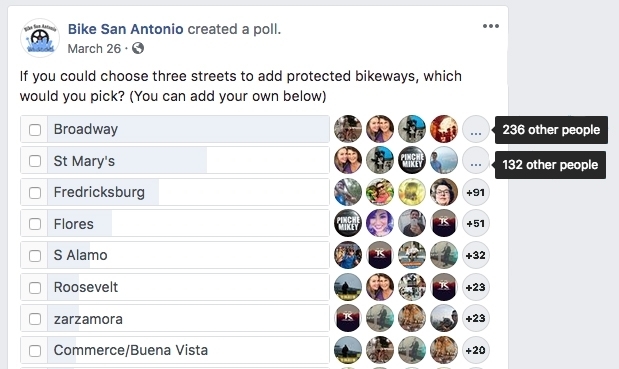 In a Facebook poll, Broadway got 236 votes for a protected bikeway. See all results here.